Wondering the wasteland in my own skin. Bethesda really put on a show at this year’s E3 presentation. With a good amount of new releases coming this year and beyond, there was plenty of returning franchises to go around for just about anyone. From a remastered Skyrim, to Dishonored 2 gameplay footage, Bethesda had an amazing showcase and even surprised a great many of us with the announcement of Fallout 4 and Doom both available to demo… in VR. 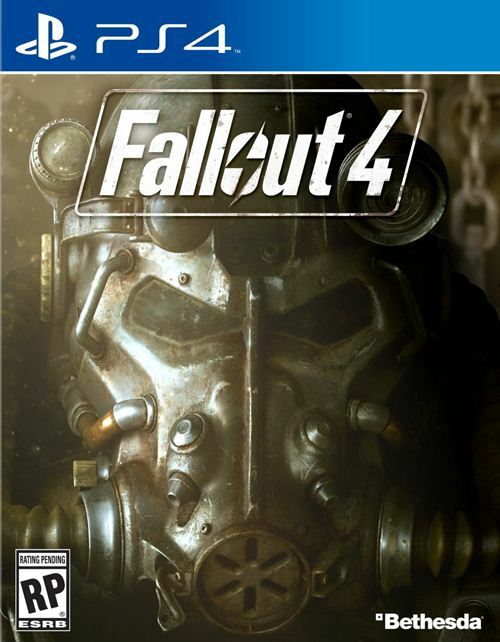 Bethesda had announced that they had been working on Fallout 4 to modify it for 3D in secret, and with the current trends in the gaming industry heading ever closer to an onslaught of Virtual Reality headsets (i.e. PlayStation VR to Oculus Rift and more), it quickly became very clear that Bethesda was indeed looking into future gaming experiences with their own franchises. Fallout 4 was running on an HTC Vive, which I hadn’t had the opportunity to try out just yet, so it was indeed a thrilling announcement. If you’ve played Fallout 4 you would have immediately recognized the location in which you are placed. The Red Rocket gas station within the Sanctuary Hills’ location, just outside of the first area of the game. Within the anti-chamber where the demo had been administered, The HTC Vive headset was put onto my head, the two controller sticks were placed into my hands and the demo began. 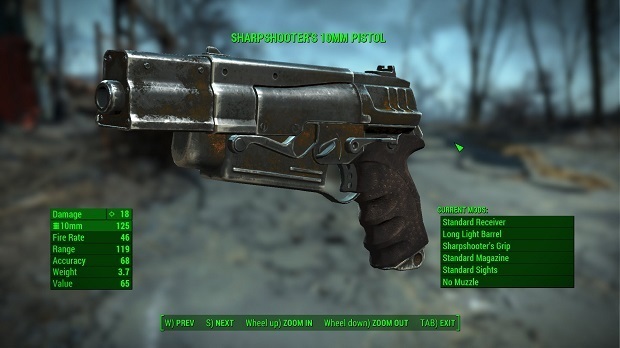 If you’ve played Fallout 4 you would have immediately recognized the location in which you are placed. 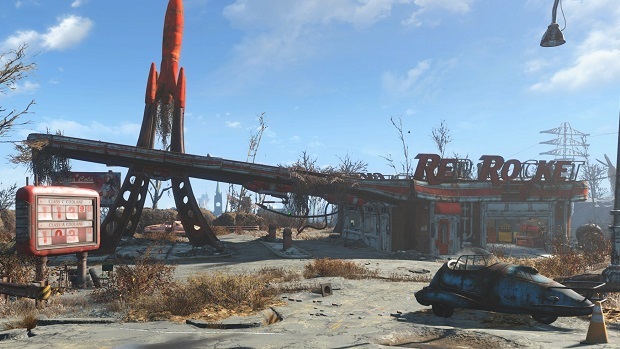 The Red Rocket gas station within the Sanctuary Hills’ location, just outside of the first area of the game. There was no escaping the immediate area as the demo was strictly held within that location. Interestingly enough there was nothing to do other than explore the gas station, examine my classic 10mm pistol in my right hand and my Pip-Boy on my left arm. No enemies of any kind were around so taking shots was confined to bottles and mannequins lying about. The feel of the pistol in my hand was unreal. I could lift my right hand up and see the pistol; I could move it around, bring it close to my face and examine the beautiful details on it; that’s something you can’t do in the regular version. Shooting the bottles was a bit tricky at first, especially from the hip. But taking it slow and aiming felt truly natural. Even though I missed most of the bottles, I was lucky enough to get off two or three hits on them — so I didn’t look like a complete fool. "I could lift my right hand up and see the pistol; I could move it around, bring it close to my face and examine the beautiful details on it; that’s something you can’t do in the regular version." 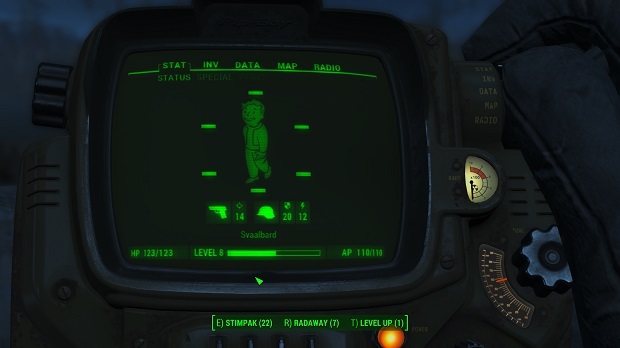 The next thing I noticed was that there was no button to activate the Pip-Boy to bring it up to the screen. Nope. Instead it was all done naturally. Lift my left arm and viola! The Pip-Boy was there, in my face, ready for commands. I could look through the on-screen menu and see what there was to offer. Of course, since this was a demo there wasn’t much I could do within the Pip-Boy other than look. I should also note that the Pip-Boy didn’t have a virtual arm when I lifted my own arm. It was simply a Pip-Boy floating in midair. But that didn’t take from the excitement of feeling like I was really controlling one. Dogmeat was there running around, coming up to me, but there was no way I could interact with him or do anything interesting, such as pet him. It was sad but at the same time I remembered that it was just a demo and the full version would most likely have more interactivity. "The next thing I noticed was that there was no button to activate the Pip-Boy to bring it up to the screen. Nope. Instead it was all done naturally." Movement within the demo was based around walking from one location to the next; however, with extremely limited room within the booth to actually do so, the HTC Vive tracking was of little use to the walking within the game. It was done by transporting me from one point to the next with a click of a button from one of the hand controllers. After I finished the extremely short demo of only a few minutes, I really could see this working out at the end. Sure, it wasn’t the best demo I ever experienced, but the clear graphics lined with a simple presentation was enough to make me a believer.